When we typically think of x-rays, we may immediately think of a huge machine that’s checking for a broken bone. Dental x-rays are a little bit different. They’re an important part of diagnosing disease or other problems. In fact, at our dental office in Madison, we use dental x-rays as a crucial aspect to our approach to preventive dentistry so we can catch any issues early while they’re still easy to treat. This month, we examine a few things that dental x-rays can help us diagnose as well as some different types of x-rays you may have. What Do Dental X-Rays Help Diagnose? 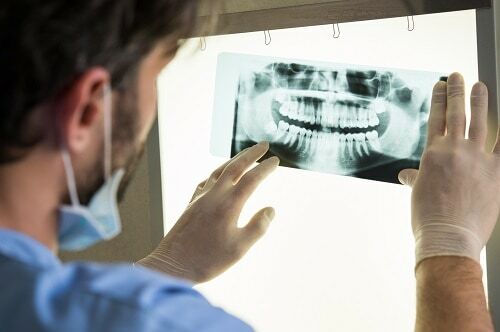 Imagery obtained through x-rays give your dentist in Madison the ability to diagnose disease or problems early and oftentimes before you experience any signs or painful symptoms. Dental x-rays can be classified as either intraoral or extraoral, both of which show different views of the mouth. Intraoral x-rays are more detailed images of individual teeth while extraoral x-rays show a more comprehensive look at the overall mouth including all of the teeth and the jaw. Each type of x-ray helps your dental team identify different things. Let’s take a closer look. Having dental x-rays taken can help save you from experiencing painful dental problems that may require complex treatment and are a necessary part of a proper preventive approach to dental care. These x-rays emit a low amount of radiation and, along with the additional safety precautions our Madison dental office take, are incredibly safe.